The compact micro- and milliampere precision current sources generate currents proportional to an analog control voltage. The sources are supplied from batteries integrated in the housing of the source together with a recharger unit. 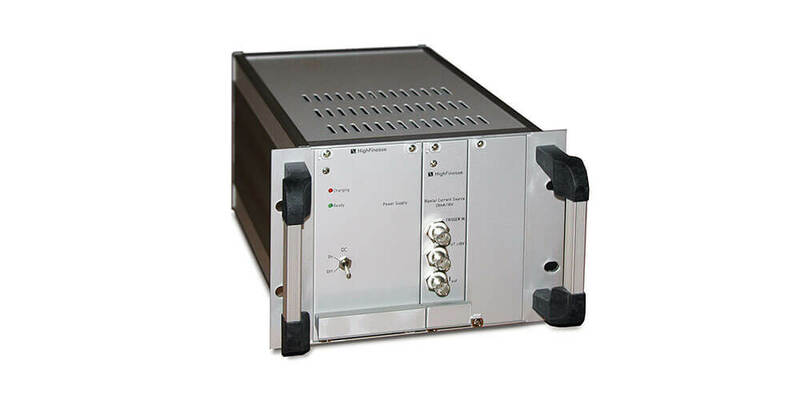 Full functionality for controlling micro- and milliamps on ultra fast time scales and at ultra low noise level. The devices of our Milliamp series will be delivered in compact rack mountable 3U case.